The Government on Thursday scrapped the controversial S-Band spectrum deal between ISRO’s commercial arm and a private company on grounds of strategic interest and said it was prepared to face legal consequences. The Cabinet Committee on Security (CCS), chaired by Prime Minister Manmohan Singh, decided to annul the contract Antrix, the commercial arm of ISRO, had entered into with Devas Multimedia underwhich it was to lease out 90 percent transponders on two of ISRO’s satellites GSAT-6 and GSAT-6A. “The Agreement for the lease of space segment capacity on ISRO/Antrix S-Band spacecraft by Devas Multimedia Pvt. Ltd. entered into between Antrix Corporation and Devas Multimedia Pvt. Ltd. on 28th January, 2005 shall be annulled forthwith,” announced Law Minister Veerappa Moily after the meeting in New Delhi on Thursday. He said when the question of strategic requirement arises, the government cannot give S-band spectrum even to Antrix for commercial use. “We have thoroughly examined this matter and ultimately we have come to the conclusion that under provisions of the agreement and the law governing that, it can be annulled,” he said when asked whether the impact of the decision was discussed by the CCS. Under the agreement signed in January 2005, Devas was to lease transponder capacity from the two satellites at a cost of USD 300 million (approximately Rs 1350 crore) spread over 12 years. Devas Multimedia had on Wednesday threatened to move court if the government took any unilateral decision to terminate the deal. “Even if they go to court, they are not likely to succeed,” Moily said when asked whether the government was ready to face the legal challenges put up by Devas. After news reports about the possible revenue loss appeared, the Government and ISRO said the project was already under review and action has been initiated for termination of the contract. The Prime Minister on Wednesday had said the deal had never been operationalised and rejected suggestions that his office had held “backroom” talks with Devas after the Space Commission’s recommendation to scrap the deal. He had said that if there has been delay in scrapping the deal, this has been “only procedural”. A brief official statement said there has been an increased demand for allocation of spectrum for national needs, including for the needs of defence, para-military forces, railways and other public utility services as well as for societal needs. “Having regard to the needs of the country’s strategic requirements, the Government will not be able to provide orbit slot in S band to Antrix for commercial activities, including for those which are the subject matter of existing contractual obligations for S band,” Moily said reading out from the statement. He said resorting to the force majeure clause of the agreement was one of the options before the government to cancel the deal. The Law Ministry, in its opinion given on 18th June 2008, had made it clear that in event of termination Antrix shall be required to reimburse Devas all the upfront capacity reservation fees and corresponding service taxes received till that date. The Agreement provided for an up-front capacity reservation fee of USD 20 million per satellite and annual lease charges starting at USD 9 million per satellite. There are also penalty charges to be paid by Antrix in case of late delivery of satellite or performance failures/service interruptions. 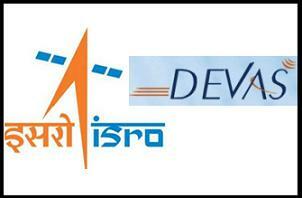 Devas has so far made a payment of Rs 58.37 crore as upfront capacity reservation fee for the two satellites. The launch of GSAT 6 has already been delayed by at least two years and ISRO Chairman K Radhakrishnan had said that the satellite was yet to be integrated.